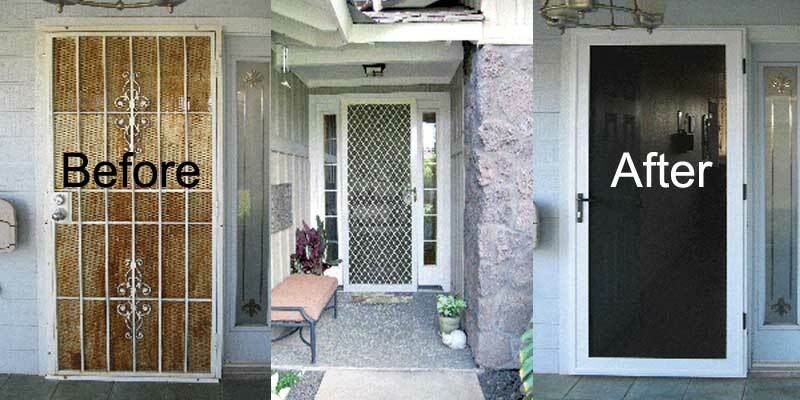 These incredible New Guarda Security Doors are available in Ventura, Oxnard, Camarillo, Ojai, Santa Paula, Port Hueneme and Fillmore with both sliding and traditional swinging screen doors. They are available in both single doors and French door openings. Guarda Security screens are also available in Ventura for window screens not only for security purposes but they also offer great protection for golf course residents. Guarda Protective Security Screens are available in Bi-fold Screen Doors, Sliding Doors, Sliding Stacking Doors, French Doors, Premium Swinging Doors, Pool Fencing and Balustrade, Fixed Window Screens, Awning Screens, Casement Screens, Fire Escapes, and Security Screens for Curtain Wall and Storefronts.